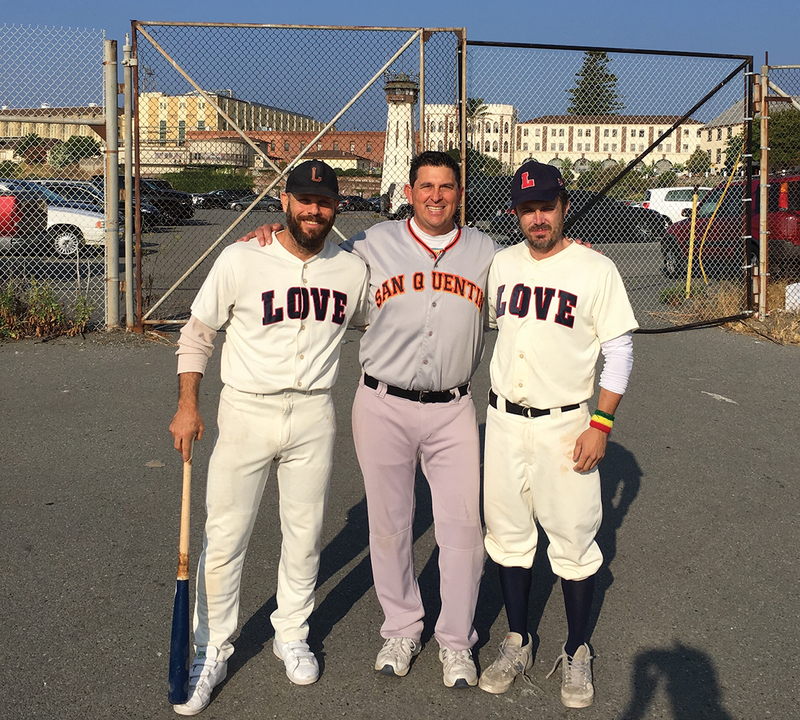 It was a star-studded event on San Quentin’s Field of Dreams as the visiting L.A. Love baseball team did battle against the home team A’s. Oscar award-winner Casey Affleck, actor and producer, returned and added retired NFL quarterback Matt Moore to his Love roster for the annual game. The teams split a double-header as they dominated each other. The Love racked-up a 10-3 win in the first contest. The A’s paid back the favor with a 12-2 rout in the second game. “I never been or played in a place like this before, but I have played in some rowdy stadiums,” said Moore, who recently retired from the Miami Dolphins. “It’s eye-opening. A conversation can go a long way, be it in prison or society. “We all go through stuff. A program like this can help them (prisoners) grow from a social standpoint.” Moore also played for the Carolina Panthers for four years. He was in the NFL from 2007-2017, drafted from Oregon State. He also played for UCLA. The last time Affleck visited, he had just wrapped up the movie Manchester By the Sea (2016), for which he won an Oscar. His new film, The Old Man & The Gun, comes out this year and stars legendary actors Robert Redford, who is retiring after this film, and Danny Glover. The movie is based on Forrest Tucker, a real-life career criminal who robbed 17 banks. Tucker was caught all 17 times but also escaped from prison 17 times. Affleck plays Detective John Hunt, who chases Tucker (Redford). Affleck went 2 for 4 in the first game and played third base. The second game he pitched, but the game got out of hand after the third inning. The Love missed a lot of easy catches. “This program is about transformation and how do we want these guys to come back to the community,” said Love’s David Gould, who is a script writer for the hit show Star on FOX. “When I look on the field, I see sons and fathers. When I drive up, I see these guys’ families and friends waiting for visits in the parking lot. It would benefit everyone the sooner these guys come home. “That’s what baseball is about, a game of second chances. Even though you fail the first time, you get a second shot.” In the first game, the Love were crisp batting and running the bases strong, keeping pressure on the A’s defense. By the sixth inning, the Love led 8-0. A’s Branden Terrell smashed a double in the seventh to score two runs to close the gap 8-2. The Love answered with two runs in the eight, effectively putting the game out of reach. In the second game, the A’s came out swinging. They put up a whopping 11 runs in the third inning. The Love slowed the bleeding by the seventh, but a long alarm on the yard called the game. That meant the Love was literally saved by the bell. “We told them we were going to battle back the second game,” said Terry Burton, A’s inmate coach. The loss didn’t sit well with Nichols, who played in the minor leagues from 1999-2001 with the New York Mets. So we’re likely to see them again next year.